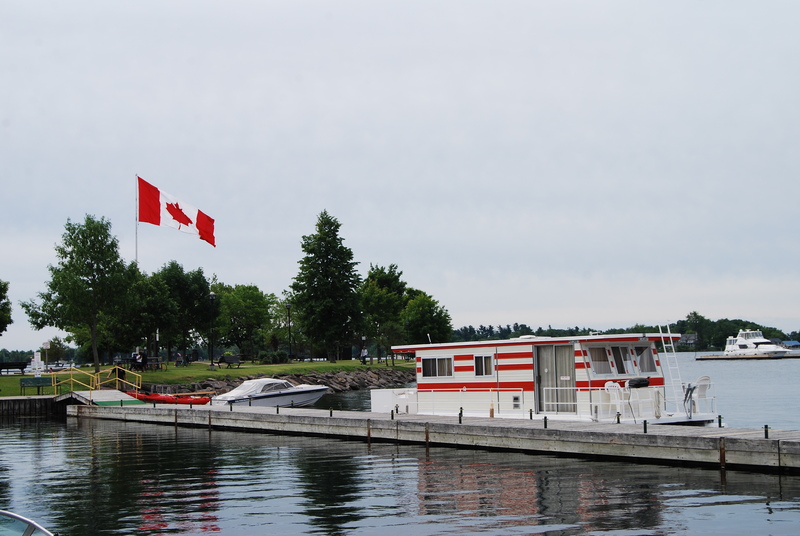 Our houseboat adventure through the National Parks of the 1000 Islands in Canada and along the border of the U.S. begins. We are heading to Gananoque, Ontario to pick up the rented Houseboats. from Houseboat Holidays, the only pet-friendly operator of its kind in the area. Victor, my dog, has gathered all his great Kurgo stuff including a body harness and a hiking leash that easily attaches to my waist leaving my hands free. This helps keep Victor close (when people are around) and prevents him from yanking out my shoulder as per usual. 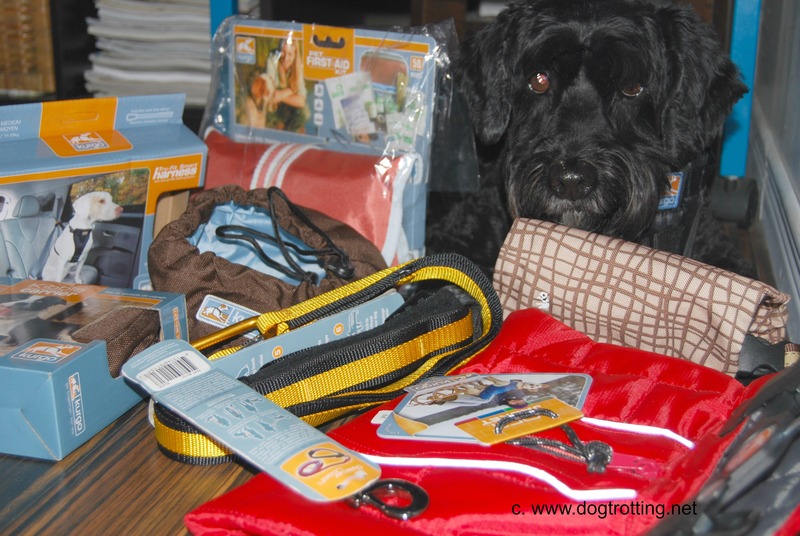 Other important Kurgo stuff: a portable kibble bag with detachable water dish and of course, the ‘just in case’ first aid kit – the only item we hope we don’t have to use. We’ll also be trying The Honest Kitchen’s Revel dehydrated whole grain food. Individual packages of powder are lightweight – just add warm water and voilà, healthy doggie wet food without the bulk of a can. Heading out on the four-hour drive to pick up the boat are two people (Sherri and Mario) and two dogs – Victor, a 12-year-old schnoodle and Sasha, a two-year-old chocolate lab. We’ll see who wears out first. (I have a feeling it won’t be the dogs). First task on arrival is a quick trip into town when we get there to fill up on supplies: groceries and booze for the people. (Here’s what we had to go back for: paper plates, salt and pepper, sugar for coffee, garbage bags and more paper towels. Bring lots of paper towels). The boat supplies kitchen equipment, sheets and blankets but everything else including towels is up to you. We’re camping. Well, RV-ing actually. The only difference is it floats. Or let’s hope it does. Just in case, Victor also gets a new bright green life jacket and both dogs sport camo bandanas because we just got outdoorsy. Did I mention we’re driving the boat?